Complete all the sections of the on-line application form. Incomplete information may result in a delay in the processing of your application. Once you have successfully submitted your form you will see the message 'CIP Request has been Successfully Sent'. Please include full details identifying the Applicant. The Applicant may be anyone authorized to initiate the proposed project. Unless otherwise identified, the Applicant will also be the Project Contact and CIP Permit Holder. In most situations, the Owner and Occupant will be the same entity. Where there Owner is the primary lease holder with the Calgary Airport Authority and maintains a sublease with a tenant, the Owner and Occupant will be different. Please review the information as entered and ensure all required fields have been completed. Once submitted, the application will be processed and the Applicant and/or Project Contact contacted concerning the next steps in the CIP review and approval process. READ THIS AGREEMENT CAREFULLY BEFORE SUBMITTING A CIP APPLICATION. BY SUBMITTING A CIP APPLICATION, YOU AGREE AND ACKNOWLEDGE, ON BEHALF OF YOU, YOUR ORGANIZATION AND YOUR CONTRACTORS (COLLECTIVELY REFERRED TO IN THIS AGREEMENT AS “YOU”) THAT YOU HAVE READ THIS AGREEMENT, UNDERSTAND IT, AND AGREE TO BE BOUND BY ITS TERMS AND CONDITIONS. IF YOU DO NOT AGREE TO ALL OF THE TERMS AND CONDITIONS OF THIS AGREEMENT, THEN DO NOT SUBMIT A CIP APPLICATION. BY CLICKING THE “ACCEPT” BUTTON AT THE END OF THIS AGREEMENT, YOU ARE CONSENTING TO BE BOUND BY AND ARE BECOMING A PARTY TO THIS AGREEMENT. IF YOU DO NOT AGREE TO ALL OF THE TERMS OF THIS AGREEMENT, YOU MUST NOT CLICK “ACCEPT” AND YOU MUST NOT SUBMIT A CIP APPLICATION. The Calgary Airport Authority (the “Airport Authority”) provides this online application form to You for the purposes of submitting a CIP application for consideration of approval by the Airport Authority. Submission of this application does not constitute authorization by the Airport Authority for any work identified in the application to commence. CIP applications received by means of online submission are reviewed by the Airport Authority and You will be contacted by the Airport Authority should additional information be required or that your application has been approved as submitted. The Airport Authority provides this online application form to only those who have a requirement to perform work on airport property. The Airport Authority will not be responsible for any loss of confidentiality of Your information submitted , or unauthorized submission of an application by a third party. You agree to take such actions as are necessary to maintain the confidentiality of, and prevent the unauthorized use of Your information, You will immediately notify the Airport Authority in writing if You determine, or have reason to believe, that an unauthorized party has submitted an application without your authorization or consent or has presented false or inaccurate information. 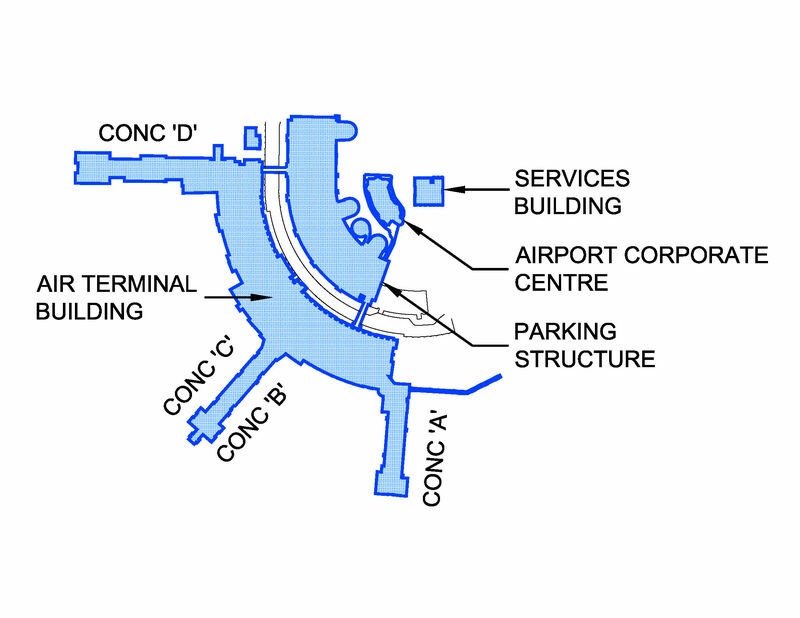 THE AIRPORT AUTHORITY PROVIDES THIS ONLINE CIP APPLICATION SUBMISSION PROCESS ON AN “AS IS” BASIS WITH NO REPRESENTATIONS, WARRANTIES OR CONDITIONS OF ANY KIND AND SHALL HAVE NO LIABILITY WHATSOEVER TO YOU OR ANY OTHER PARTY CLAIMING BY OR THROUGH YOU FOR THE ACCURACY, TIMELINESS OR CONTINUED AVAILABILITY OF THIS APPLICATION IN ANY WAY RELATED TO YOUR USE OF THIS APPLICATION OR THIS AGREEMENT. IN NO EVENT SHALL THE AIRPORT AUTHORITY, ITS OFFICERS, DIRECTORS, EMPLOYEES, CONTRACTORS AND OTHERS FOR WHOM IT IS RESPONSIBLE AT LAW BE LIABLE TO ANY PARTY FOR ANY DAMAGES WHATSOEVER (INCLUDING WITHOUT LIMITATION, INDIRECT, SPECIAL, INCIDENTAL, EXEMPLARY OR CONSEQUENTIAL OR PUNITIVE DAMAGES, DAMAGES FOR LOSS OF BUSINESS PROFITS OR REVENUES, BUSINESS INTERRUPTION) WHETHER OR NOT SUCH DAMAGES WERE FORESEEN OR UNFORESEEN, EVEN IF THE AIRPORT AUTHORITY HAS BEEN ADVISED OF THE POSSIBILITY OF SUCH DAMAGES. THE LIMITATIONS, EXCLUSIONS AND DISCLAIMERS IN THIS AGREEMENT SHALL APPLY IRRESPECTIVE OF THE NATURE OF THE CAUSE OF ACTION, DEMAND, OR ACTION BY YOU OR ANY OTHER PARTY CLAIMING THROUGH YOU, INCLUDING BUT NOT LIMITED TO BREACH OF CONTRACT, NEGLIGENCE, TORT, STRICT LIABILITY OR ANY OTHER LEGAL THEORY AND SHALL SURVIVE A FUNDAMENTAL BREACH OR BREACHES OR THE FAILURE OF THE ESSENTIAL PURPOSE OF THIS AGREEMENT OR OF ANY REMEDY CONTAINED HEREIN. This permit conveys permission to undertake the alterations described herein. This permit does not constitute an assessment, evaluation, or warranty of any kind or nature by the Calgary Airport Authority of the quality of materials, design and construction employed in the performance of the work to be done by the Contractor, and the Calgary Airport Authority assumes no responsibility for the consequences thereof. The Contractor shall observe all applicable federal, provincial and municipal laws, regulations, bylaws and building codes in the performance of the work and shall ensure that the work when completed complies with all such federal, provincial and municipal laws, regulations, bylaws and building codes. Without restricting the generality of the foregoing, the Contractor shall at all times comply with the provisions of the Occupational Health and Safety Act (Alberta) and all regulations made pursuant thereto, Part 8 of the National Building Code, entitled “Safety Measures at Construction and Demolition Sites”, all as may be updated from time to time. The Contractor shall be the prime Contractor for the work site for the purposes of the Occupational Health and Safety Act (Alberta) and the Contractor’s Site Supervisor shall be the person designated pursuant to the said Act as the person responsible at the work site to ensure compliance with the applicable provisions of the said Act. The Contractor shall adhere to all rules and regulations of the Calgary Airport Authority relating to safety, health, preservation of property, protection of the public and the safe and efficient operation of the facility. The work shall be performed in such a manner as will cause minimum inconvenience to the public and other users of the facility. 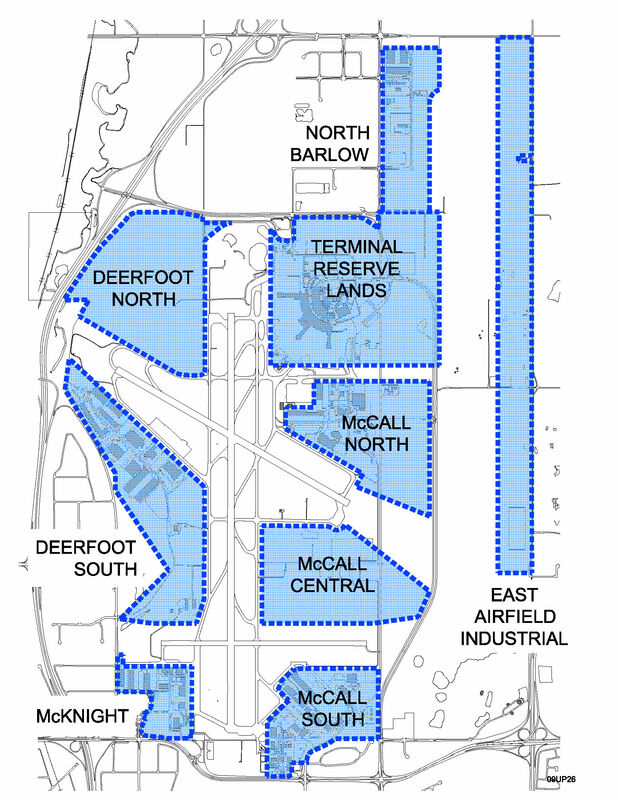 No changes or revisions shall be made to the work authorized by this permit without prior approval of the Calgary Airport Authority. The Calgary Airport Authority reserves the right to halt or suspend this work or cancel this permit without notice, for whatever reason it deems necessary. In the performance of the work, the Contractor shall not do or permit to be done, any act affecting the operation of any existing plumbing, heating, fire-alarm, drainage, water supply, electrical, sprinkler, ventilation, refrigerating, fuel, or communication system at the facility, or other such service system threat, including all pipes, tubes, lines, mains, wires, conduits, equipment and fixtures, except within the written approval of the Calgary Airport Authority. You agree and acknowledge that this online application form is provided as an internet tool and as such, the Airport Authority shall not be liable for any unauthorized access gained by third parties through fraud or misconduct. You have read and understand the requirements contained in the Policy on Tenant Development Procedures (if applicable) as established by the Airport Authority and which may change from time to time as the Airport Authority determines in its sole discretion. The Airport Authority reserves the right to confirm and/or edit all information received through submission of this online application form at any time in its sole discretion. You release the Airport Authority from any or all liability, direct or indirect, whether contributed to by its own negligence or otherwise, that arises from any approved, declined, or cancelled CIP application or this Agreement. By submitting information to the Airport Authority through use of this online application, including any personal information as defined pursuant to the Personal Information Protection and Electronic Documents Act (Canada) and the Personal Information Protection Act (Alberta), You consent to the collection, processing, transmission and disclosure of such information by the Airport Authority to third parties and other agencies, without conditions or limitations, as required for the purposes of fulfilling any obligations, requirements, and agreements the Airport Authority may have in regards to the review, processing, and approval of work, responsibility, or activity on airport property . You further confirm that you have obtained all necessary third party consents to be able to submit such information to the Airport Authority. This Agreement is to be construed under the laws of the Province of Alberta, excluding any body of law governing conflicts of law.